The process of getting a divorce will be different depending on the situation. For example, a couple who has been married for a short time, with little property and no children will have fewer steps than those who have been married for a longer time and have kids. The divorce process is also more straightforward if both parties agree that it is necessary. If one person is blind-sided, the process could become much longer, what with the couple getting caught up in fights and disagreements. The first stage for getting a divorce in Long Island is filing a petition. It does not matter whether both spouses agree; one has to file the petition to ask the court for a divorce. There, they must state why they want dissolution of their marriage. Different jurisdictions will have different requirements, but an attorney should be able to help to smooth things out. From there, the following steps are followed. If spouses depend on one another for financial or custodial support, the court grants temporary orders to keep this support. For instance, a mother who files a petition will need the help of her husband if she is to keep paying bills and nurturing children. Temporary orders grant that one spouse will not suffer as they wait for court hearings. If the person looking for a temporary injunction is the one who started the divorce process, they can file the order and petition at the same time. The person who started the divorce process must file this document to show that the other party received a copy of the petition. This document can be undignified or dignified. 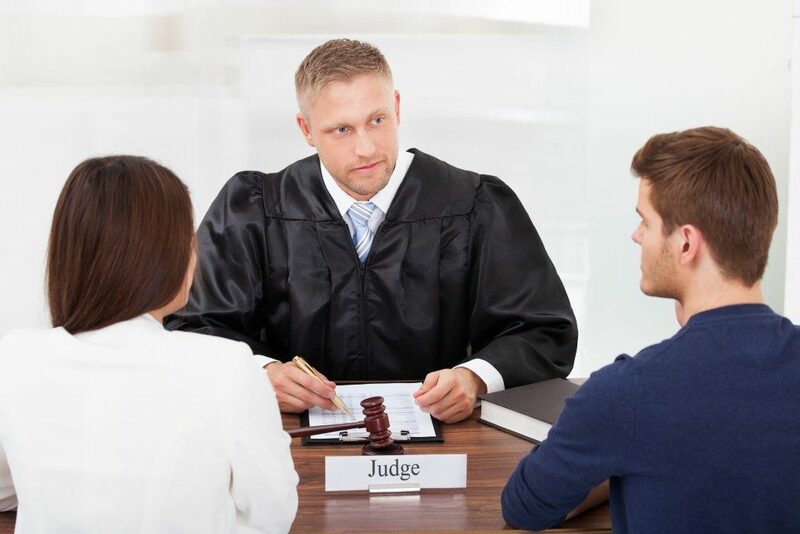 If the divorcing couple agrees, it is best that the one who started the process files this complaint and plans for their attorney to speak to the other party’s lawyer. After getting the petition, the served party must respond. If the grounds for the divorce were “at-fault” and they want to dispute, they may do so at this point. The responding party should always indicate that they are challenging, or they can choose instead to pick a defense for the grounds. If the couple cannot agree on the division of property, child custody or spousal support, the response must state that, too. Suppose the divorcing parties do not agree on anything. Courts will often schedule a settlement conference whose agenda is to try to help the parties resolve their issues. When the couple cannot decide, the court can order mediation. Parents will then be evaluated by social workers and other court employees to handle the issue of child custody. In the meantime, a guardian is appointed to help the kids in the transition. Issues that mediation cannot solve go to court. At the trial, the judge gets to hear both sides and make a choice for the couple. It is advisable that divorcing partners do what they can to avoid going to court. The marriage ends when there is an order of dissolution, or the document detailing how everything including property and custody is to be handled. A judge must always approve the dissolution order. Is My Child Ready for Primary School?